Justin Pellow is originally from South Africa where Justin graduated with a Masters of Technology in Chiropractic in 1999. Justin has furthered his knowledge with ongoing professional development and post graduate training in foot care (CCFC) and an International Diploma in Sports Chiropractic Science (ICSSD). Justin also obtained certification in Neuro Emotional Technique (NET) and completed training in Total Body Modification (TBM). Justin has also received training in visceral procedures and Activator Technique. 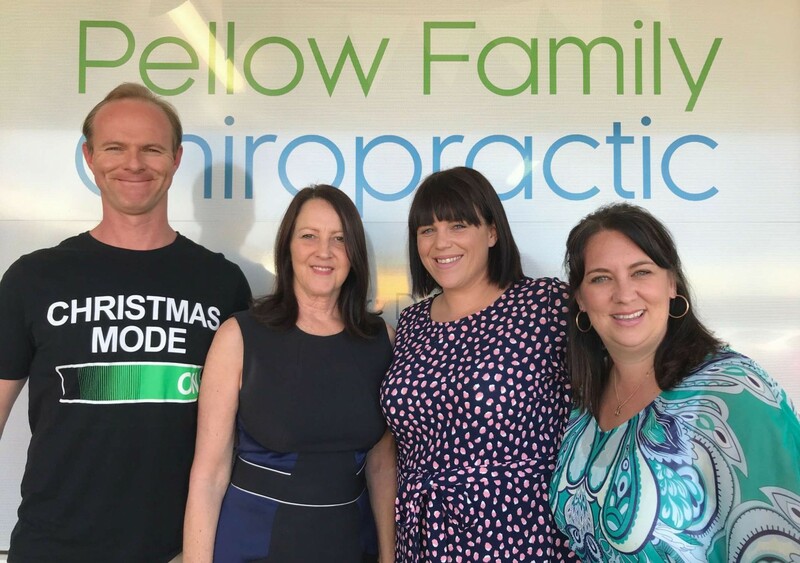 Justin is currently formalising many years of clinical practice and experience with families and is completing a course in Chiropractic Paediatrics. Justin uses a variety of techniques to assist patients including Diversified (manual adjusting), extremity adjusting, drop table, activator and Impulse adjusting and over the past few years has introduced cold laser therapy to his skill set. Justin is dedicated to continual education and regularly updates his knowledge. Justin has a keen interest in wellness, which includes teaching patients about and encouraging them to partake in regular exercise and eating well. Justin and Karen, became Australian citizens in 2011 and have 2 lovely and very energetic Australian daughters! Behind every great chiropractor is a great support team and at Pellow Family Chiropractic the team is part of our family. Let us introduce our team from left to right: Justin, Carol-Anne, Kirby and Natasha.